OUR NEW SMALL DayCor® Solar-BLIND BLOCK CAMERAS AND CAMERA CORES FOR UAV's ARE AVAILBLE! Check with us for the latest DayCor® Corona Block Cameras for use with UAVs Drones! 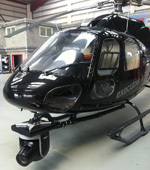 *The new DayCor® micROM™ camera is the latest in a series of smaller cameras for use with UAV’s and other air vehicles. It weighs in at less than 1.98 lbs! * The DayCor® ROMpact™ 300 is slightly larger than the micROM™ with 8x6 degree FOV and highest sensitivity at a weight of 2.6 lbs. Please contact us for current pricing and delivery. We have DayCor® 100% Solar Blind Corona Cameras by Ofil available for rental and purchase! EKLUND INFRARED Turreted EO/IR/UV/Laser Gimbal Systems are of highest technical sophistication and durability. We can make special order gimbal configurations (200-300-400) for special cameras and other payloads. Multiple EIR300 with a GPS enabled Nikon D810 36 MegaPixel Still Frame Cameras with GPS info in each picture header and Remote Controlled Motorized Optical Zoom for the Nikon Lens. EIR400Triple Nikon with LWIR, Solar-blind Corona, NIKON DSLR.